I am a huge fan of making my own green cleaners, but let’s be honest here. There are only so many hours in a day. Sometimes you just want to grab a bottle of cleaner off a shelf. 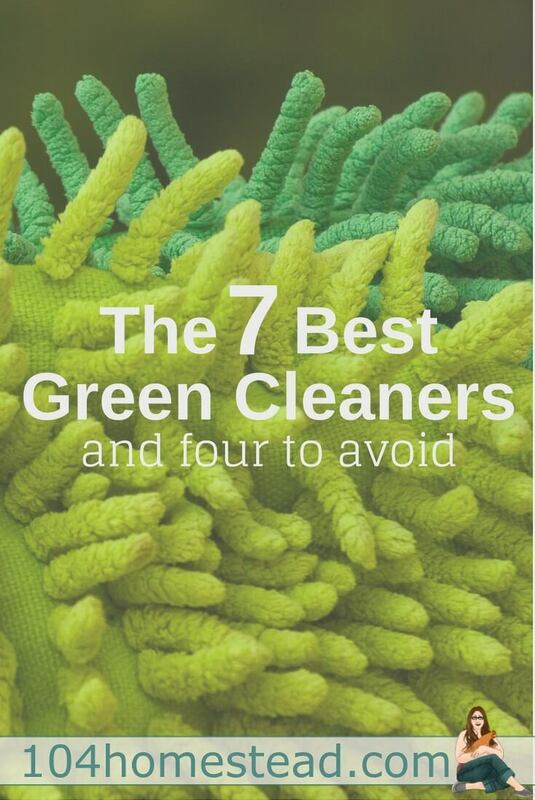 Are all green cleaners created equally? Heck no! I’ve tried a lot of brands and it’s not as simple as saying choose this brand. There are some formulas that shine (see what I did there?) and some that fall flat. Before we get into which ones gained my seal of approval, let’s chat a bit about why cleaning with green products is so important. 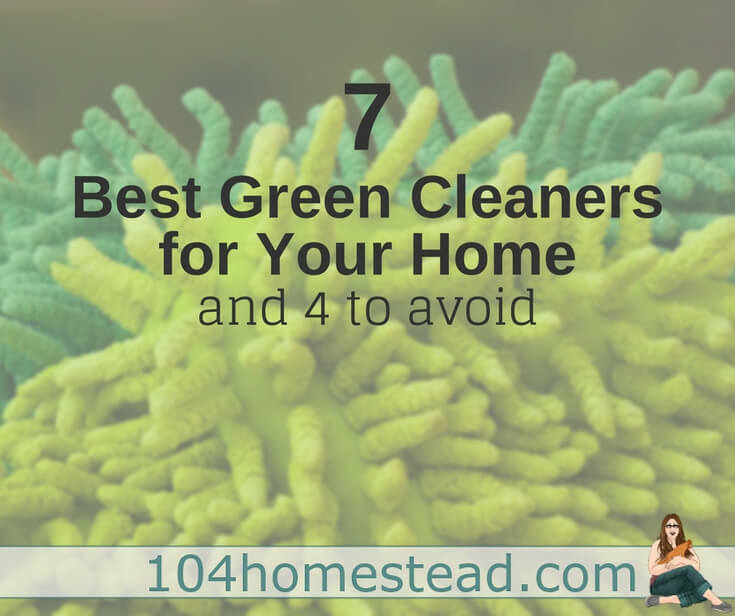 Most people assume that a green cleaner uses environmentally-friendly ingredients. While that is true, that’s not the only reason why you should be buying them. Not only are these products free from toxic chemicals, the way they are manufactured, packaged, and distributed is eco-friendly. From start to finish these products keep our planet safer and healthier. Yay for green! Another big difference between green cleaners and other cleaners is that green cleaners must be fully transparent with their ingredient list whereas other cleaners don’t. In order to be deemed eco-friendly according to the US Government, all ingredients must be on the package and tested for safety. On the grand scale, going green when cleaning can lessen water pollution, air pollution, climate change, and ozone depletion. On a smaller scale, going green makes your home a healthier place to be. We’ve all seen the warnings plastered all over the chemical-riddled bottles. Toxic! Caution! Warning! If you have to keep it under lock and key, why on earth would you want to use it? Even when used according to the instructions, these chemicals are downright hazardous. VOCs (volatile organic compounds) are released by most ordinary cleaners. VOCs have been associated with a host of health problems like damage to the liver, kidneys, and central nervous system. These compounds stay in the air long after use. Yuck! Do green cleaning products actually work? Gentle on clothes, tough on stains, and smells great to boot! One thing to note if you use Method’s detergents, they are highly concentrated. A little bit goes a long way. I was a bit heavy handed the first time I used it and it didn’t completely rinse out. I’m glad I gave it another try (realizing it was really my error and not theirs). When I used the appropriate amount the clothes came out soft and clean. I personally like the Lavender Cedar scent, but they have a fragrance-free type if that’s what you prefer. It’s cloth diaper and HE-washer safe. For just about every surface cleaning job you might have, Seventh Generation can probably handle it. The only thing it’s not good for is wood. That’s a shame since we have oak counter tops. It still doesn’t knock it out of first place as an all-purpose green cleaner for me, though. I just use a squirt of dish detergent on a damp unpaper towel to wash down the counters. It passed the grease splash test with flying colors. It also removes dirty kiddo hand prints from the wall without taking off the sheen or color of the paint. Ecos wins not only for their hand-washing dish detergent, but for their dishwasher detergent as well. The dish detergent is super gentle on hands (in fact, I dare say it’s moisturizing). The dishwasher detergent keeps those weird water spots off the dishes. I am notorious for burning food onto the edges of our dishes and a quick 5-minute soak seems to do the trick. Really, this stuff is a powerhouse. J.R. Watkins handles rust and hard water stains better than any product I’ve ever used (yes, including the toxic ones). I’m going to be really real with you for a minute here. I live with three boys. No disrespect to the male population, but boys have aim issues and their urine has a particular smell to it. I love them dearly, but we are a one bathroom home and sometimes it’s a bit overwhelming. J.R. Watkins deodorizes so well! It doesn’t have a scent, so you know the odors are really gone and not just masked. After a quick scrub I don’t have to cringe when guests ask to use our restroom. Common Good is good for all types of flooring — stone, wood, tile, linoleum, bamboo — which is one of the biggest reasons it’s top of the green cleaner list for me. There are very targeted eco-friendly floor cleaners, but who wants four bottles for their four kinds of flooring when you can have one bottle that does it all? What I love about Common Ground’s formula is that it doesn’t leave a residue behind. I was sad to find a lot of them did. This was especially true on our tiled kitchen floor. It looked super clean and then a few hours later shoe prints were showing up. That doesn’t happen with this cleaner. Honestly, the first time I bought this it was purely an aesthetic choice. Their bottle is cute and I thought the I can see clearly, wow! was funny. After trying it out, I bought it because it was effective. Better Life doesn’t leave streaks and it handles fingerprints, doggy nose prints, and odd food that for some unknown reason ends up on the kitchen windows. Make sure when you’re cleaning your windows, you’re doing it correctly. If you have a pet, you’re probably familiar with the name Nature’s Miracle. This is the hands-down best product that exists for removing pet stains and odors. It doesn’t stop there though. Stinky boy clothes found in the bottom of their closet or backpack? Add some Nature’s Miracle to the laundry. Renting or buying a new home that use to belong to smokers? Add it to a spritz bottle and go crazy. Stinky car after a dump run? Yup, it can handle it. This is an important disclaimer right here: I do not advocate “sniffing” cleaners — green or otherwise. Having said that, Mrs. Meyer’s cleaners smell divine! AND they have special holiday scents that come out every year. These aren’t those harsh artificial scents either. I cleaned the whole house with peppermint before the holidays last year. People commented on how great everything smelled. For real. I don’t think you can go wrong with any of the Mrs. Meyer’s products and the best part is they are available at pretty much every local market from grocery stores to big box stores. Often I can’t find it at Target and TJ Maxx too. These one’s are getting a big thumbs down from me: Ecover, Green Works, Puracy, and Eco Me. Maybe my kids are especially dirty. Maybe our dishes are exceptionally gungy. I didn’t find these brands stacked up for our family’s needs.